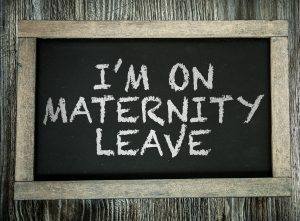 What is Maternity Leave and Paternity Leave? State and federal laws may require an employer to give employees maternity leave and paternity leave for the birth or adoption of a child. Maternity leave refers to leave taken by a new mother or an expectant mother. Paternity leave refers to leave taken by an expectant father or a new father. A child is only a newborn for a short period of time. Thus, the time you have spent with a newborn is fleeting. You shouldn’t hesitate to take maternity leave or paternity leave for fear of losing your job. And the event your employer is audacious enough to terminate you for excising your State and Federally protected right, you should be adequately compensated for the damages you sustained, including past and future lost wages and mental anguish. A court may also award attorneys fees, which is why we will take your case on a contingency fee case, meaning that you pay us nothing unless we win. When and What Kind of Leave can be Taken? Qualifying employees can take maternity or paternity leave before or after the birth of a child. Leave does not have to be continuous and can be intermittent (such as leaving early, staying late or working part-time). It does not have to be taken in full day blocks of time. Both the Pregnancy Discrimination Act and the Texas Labor Code make it illegal to discriminate against an employee because of pregnancy in hiring, firing, layoff, promotion, duties or pay. Furthermore, the law prohibits providing different leave times for pregnant women than employees with illness or disability. How Much Maternity Leave or Paternity Leave Do I Get? The federal Family and Medical Leave Act provides employees, including those seeking maternity or paternity leave, up to twelve weeks of unpaid leave for the birth or adoption of a child. It is illegal for an employer to retaliate against an employee for taking appropriate leave or for opposing or reporting pregnancy discrimination. If you feel you were terminated or discriminated against for exercising your right to maternity and paternity leave, contact a Fort Worth labor lawyer at Hutchison & Stoy, PLLC today at (817) 820-0100 or fill out a free online case evaluation form.